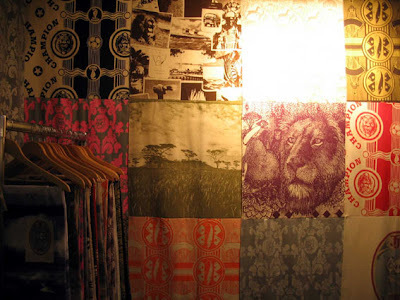 My personal favourite at the Expo was the amazing fabric designs by Ekoka, inspired by artwork of the !Kung Bushmen who live in remote northern Namibia. 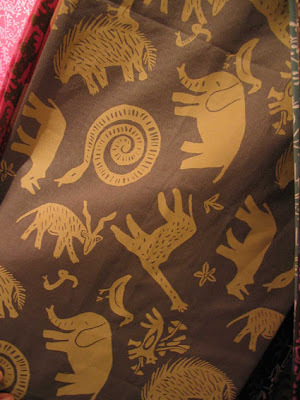 I hope to show you lots more of these textiles soon. Ceramics and beadwork from non-profit outfit Monkeybiz put a zing in my step, even after a long Expo day. Those clever people at Tintown have come up with some lovely new cut metal designs. 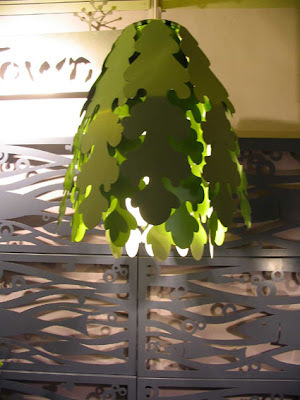 Love this seaweedy lamp! 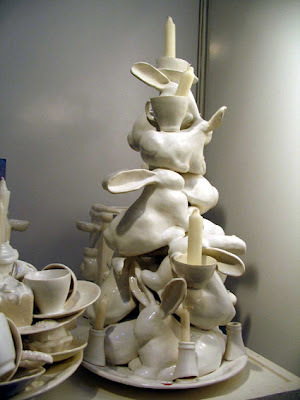 I liked the new-traditional approach taken by Vuyisa Potina for Potina Ceramics, based in Franschoek. 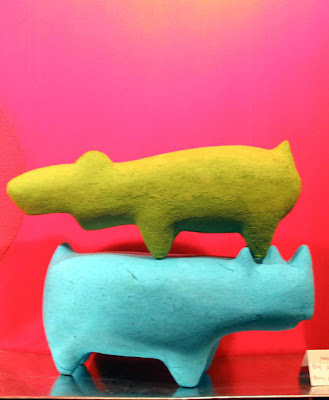 Phumani Papers makes all manner of amazing paper things, and these bright beasts were my best. Wendy Mclachlan handmakes the often food-themed ceramics at Homebakes, and came up with this rather delectable concoction. 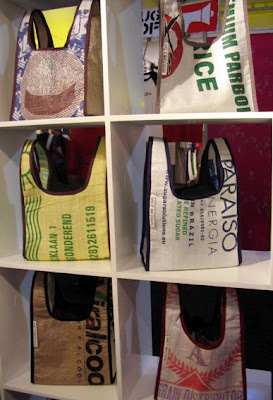 Lovely recycled food sacks by non profit outfit, Give It Bag. I had to run away quickly after taking the pic so I didn't buy (yet another) beautiful bag for myself. 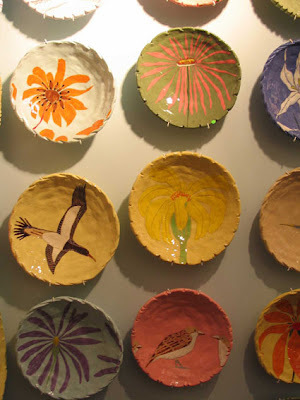 Handpainted plates by the very talented Gemma Orkin. 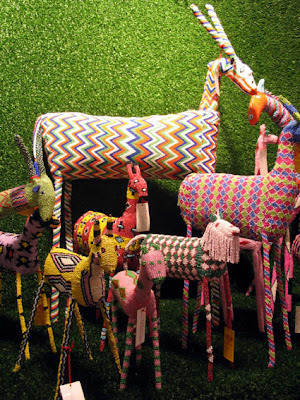 A blaze of textile wonder at Fabric Nation. 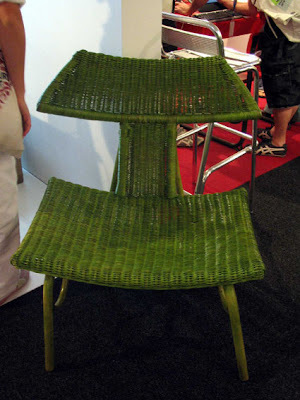 And I found this chair all on its own at the Creativity Industries stand. 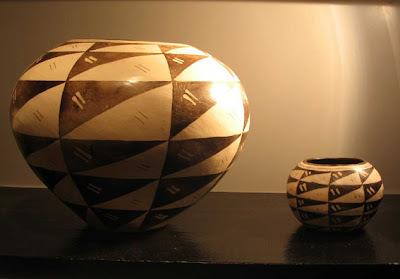 It's made by Third Eye Designs, which is run by Wanga Ngwane and Peter Seboyeng, and I thought it was rather nice! Whew! Back again next year for more! I love the tintown lampshade too! It is gorgeous! 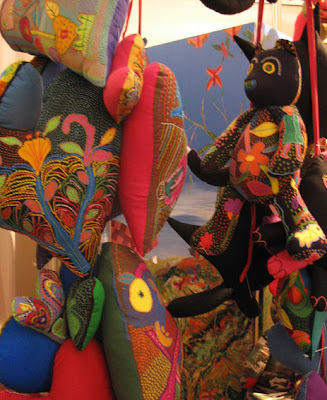 It is great to have another chance to process the beautiful things I saw at the indaba! Thanks for the great coverage! I never got to see the Indada so its been a treat seeing some of the highlights here. Thanks for the tour.